West Coasters like to brag that they live in the “banana belt” of Canada, but the lyrics of the popular 1920s song, Yes, We Have No Bananas, hint at the true story of bananas in B.C. Yes, we can grow bananas on the coast. 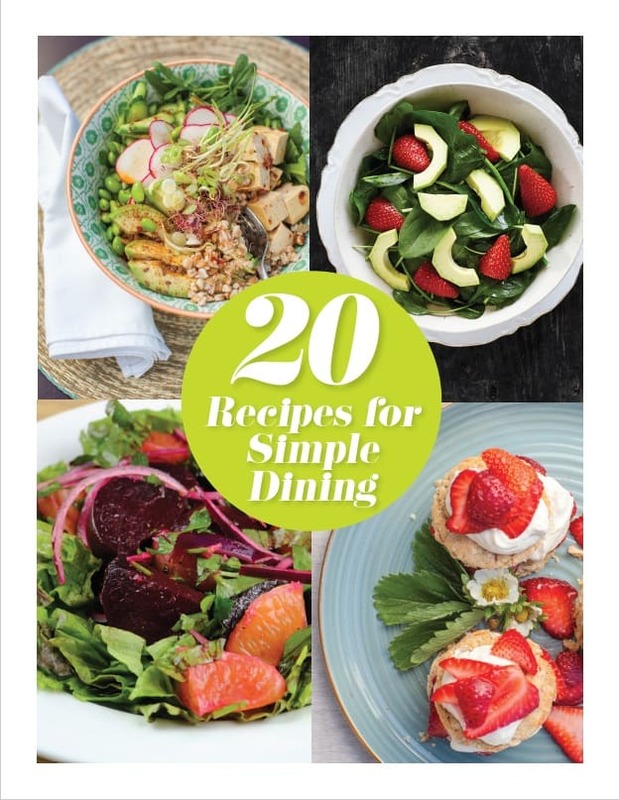 No, we don’t get edible fruit. Imagine sipping cool summer drinks in your personal paradise. It’s not as hard as you think, and such an exotic hideaway can be created using the Japanese fibre banana, Musa basjoo, as a focal point. Give some thought to overall design before planting. A banana alone on the front lawn looks a bit out of place, but a smashing “tropical” garden can be created in an enclosed area, where the illusion is not broken by passing traffic and neighbouring views. Ideally, your retreat will be screened by a fence or tall hedge. Bananas like plenty of sun. Watch your garden to see how the sun moves, and choose a location with at least six hours of sun a day. 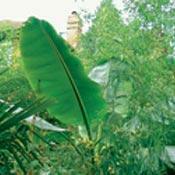 Try to plant your banana where its large leaves are protected from the wind. Managing a banana’s personal space is a bit tricky. Set aside a circle about one metre across for a good clump of stems to develop – you want stems of various ages in order to have flowers each year. Plan a buffer zone of an additional half metre for your winter protection cage. This zone is ideal for planting annuals or tender perennials, such as canna lilies, that will be removed before you must protect your banana. As it matures, offsets will appear each spring. Unless you want a much larger clump, keep only one or two, removing the others with a sharp spade. After a stem blooms, it will die and should be cut out of the base. Like most tropical plants, bananas flourish with rich soil and plenty of water. Before planting, incorporate as much organic matter as you can. Well-rotted manure and compost are ideal. After planting, water with 20-20-20 to get growth off to a quick start. If you add organic matter annually, fertilizer is not generally required. Water deeply during warm summer weather to encourage lush growth and provide winter protection in fall. (see "Tuck Me In"). Complement your banana with other dramatic plants to complete the jungle effect. Bold annuals have to be planted each year, but the effect is worth it. Castor bean plant has terrific foliage and the handsome spider flower blooms all summer. Many stores carry one-gallon pots of these bold annuals once summer’s heat kicks in. Don’t plant them before June or they will languish. Many perennials are easy to grow – coming back reliably each spring – yet are bold enough to fit in this scheme. Consider bear’s breeches, colewort (Crambe cordifolia) and giant maiden grass. These exotics are a bit tender but they are perfect for a tropical collection: windmill palm should have its stem wrapped for the first few winters, and then it is fine. Tasmanian tree fern must be wrapped like the banana each winter. These additions fall into the category of “tender perennials”; in frost-free climates they stay outdoors year-round, but in B.C. they need to come into a frost-free place in winter. Taro (Alocasia and Colocasia) has fabulous foliage; canna lilies (especially the var­iegated cultivars) and gingers (Hedychium and Alpinia) boast handsome leaves and spectacular flowers. I’m sure you are getting the idea! Keep an eye out for plants with bold foliage, large bright flowers and drama. In no time, you’ll feel like you’re living on a tropical isle. Gardener Trisha McCarthy describes how she winter protects VanDusen’s 15-year-old Musa basjoo: “After the first hard frost, I cut off the stems about a metre above ground level. I build a cage about a half metre out from the stems and a half metre above the cut, using stakes and chicken wire. I then stuff the cage with straw. I place the cut banana leaves across the top of the heap and cover it with plastic to protect everything from too much rain. In spring, I watch for white ‘fingers’ appearing through the mulch. This usually happens in March. Then I remove the cage and all the mulch.” Some gardeners leave more of the pseudotrunk before building their “fort.” In spring, Gerard Pury digs a trench around his banana and adds all the decomposed winter mulch to increase the organic content of the soil. He finds no need to add fertilizer. 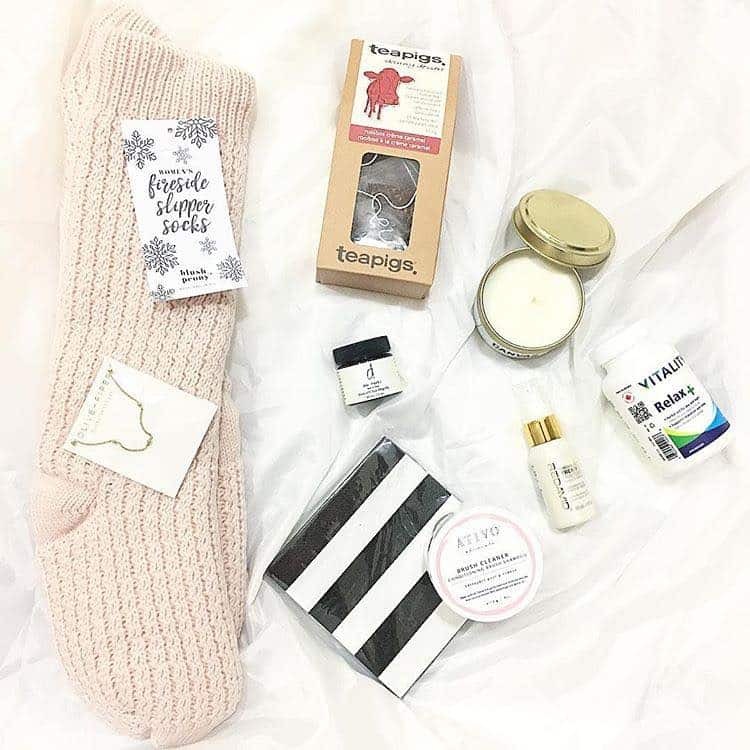 Essentially, winter protection is your only guarantee of flowers. According to Colin Lichtensteiger, manager of the Blenkinsop GardenWorks, these guidelines also apply in sunny Victoria. So why grow them if not to eat? Bananas are terrific for creating the lush look of the tropics here in the rainforest. Well-grown plants can reach six metres in height by summer, with huge paddle-shaped leaves up to almost two metres long. This dramatic foliage can be the focal point for a spectacular collection of bold, exotic plants. With some planning, you can create your own jungle. So, where have these giants come from and how did they get to B.C.? The banana family contains two genera, each of which forms a pseudotrunk of compressed leaf bases. Ensete has three or four species that are mostly native to Africa, where they are thought to have evolved. Musa has nearly 40 species, most of which are native to Asia. These two genera differ in a number of ways. Most significantly, Musa species increase by producing offsets – known as “pups” – while species of Ensete form one main “trunk” that grows larger and larger until it produces flowers and then it dies. 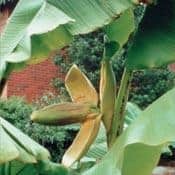 Most common in coastal gardens is the Japanese fibre banana, Musa basjoo, which was introduced to the Vancouver area in the early ’80s. Almost all of the fibre bananas on the coast today are pups of a mother plant belonging to longtime Vancouver landscaper Gerard Pury. Once a fibre banana’s shoot is two or three years old, it produces a huge terminal bud that looks somewhat like a monstrous acorn. It contains layers of golden bracts, each of which lifts up to reveal rows of male flowers. Clusters of female flowers sit farther up the stem, atop “hands” of miniature bananas. In the wild, these blooms are pollinated by bats; it’s not known if local bats have discovered them! Although the developing bananas may swell to 15 centimetres in length, they are unpalatable. In its native Japan, the leaves of Musa basjoo are used to wrap food before it is steamed or boiled. Even though it is one of the world’s cold-hardiest bananas, it still requires winter protection. If you’re thinking that a six-metre-tall banana plant is a bit overwhelming, there is a much more petite species you could try: Musa lasiocarpa (or, according to some botanists, Musella lasiocarpa). New on the market in 2000, this species from Yunnan, China, was introduced to our area by Ray Mattei, of Tropic to Tropic Plants in Delta. 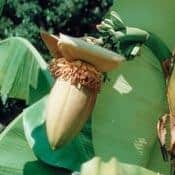 The Chinese dwarf banana is thought to be as hardy as Musa basjoo but only grows to about one-and-a half metres in height. Its diminutive stature makes it easier to site and simpler to manage, and it even grows in light shade. This may be just the banana for folks who live in colder parts of B.C. ; it could be grown in a container and brought into a frost-free place for winter. Looking ahead, Ray will introduce Musa sikkimensis (formerly called M. hookeri) in the next year or so. Native to Northern India’s Sikkim and to Bhutan, this species reaches about four-and-a-half metres. According to the Flora of Bhutan, the pseudotrunk has a reddish tinge and the unfurling leaves are purplish. The bracts are deep purple to crimson, and the fruit is said to be edible, although it does have seeds. This promises to be an exciting find for banana lovers. Both Musa acuminata ‘Zebrina’ and Musa acuminata var. sumatrana are referred to as blood banana. Their blue-green leaves are shot with red streaks and crimson flower bracts – dramatic in a conservatory setting! Blood bananas reach about two and a half metres in height and need a large, warm greenhouse in winter. If they are put into a cool but frost-free greenhouse, they will languish. The Abyssinian banana (Ensete ventricosum) and its red-leaf selection are also lovers of warmth. Ensete is more difficult to manage than Musa; its stem gets ever larger until it blooms and then it dies. At VanDusen, the annual task of lifting the Abyssinian banana to bring it into the greenhouse becomes more and more cumbersome. Alex Downie, supervisor of the Bloedel Conservatory in Vancouver, says their red Abyssinian banana is allowed to grow for several years, then removed and replaced with a smaller one. It has never been permitted to reach flowering size. Claude LeDoux, manager of horticulture for New Westminster, notes that Ensete can be forced to produce offsets. His staff cut a large but ailing plant right to the base and removed most of its roots. In their hot, humid greenhouse it rallied and sent up offsets, but this approach is drastic. So what about the real meal deal? The commercially grown fruiting banana is called Musa x paradisiaca. It and its several hundred cultivars are the most common bananas on the market, partly because they ship well. The stems of this giant reach six metres or more, the deep green leaves can be three-and-a-half metres long, and, as we know, the fruit is delicious when mature. The best way to impress friends – and I’ve seen it done! – is to grow a banana plant and then hang a store-bought bunch among its luscious leaves. That gives everyone a chuckle! 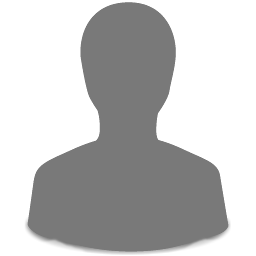 With more than 30 years experience in horticulture in B.C. – in wholesale, retail and at VanDusen Botanical Garden for a decade – Carolyn Jones brings a wealth of knowledge and expertise to GardenWise and www.gardenwiseonline.ca as staff horticulturist.